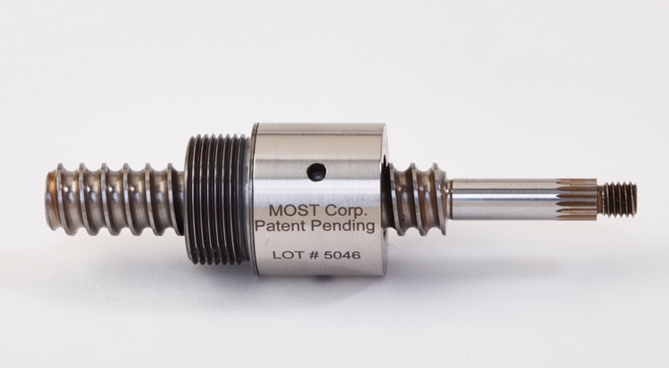 MOST Precision Motion has created a suite of standard models and precision/orbital ball screws for a variety of uses. We can provide you with parameters of our standard ball screws. MOST Precision Motion can also adjust the specifications of these to meet your specific needs. Request parameters for standard ball screws to the right. MOST Precision Motion Ball Screws are made of a ball screw and a ball nut packaged together with recirculating ball bearings. Our ball screws are optimized for low rolling friction to maximize efficiency and offer the smallest pitch (0.25 MM) to achieve the best resolution in the industry for optical focusing and other precision applications. MOST Precision Motion Ball Screws are capable of carrying larger static and dynamic loads than those of our competitors while keeping backlash at absolute zero.